Two academics from Plymouth University have won National Teaching Excellence Awards, while another has been shortlisted. 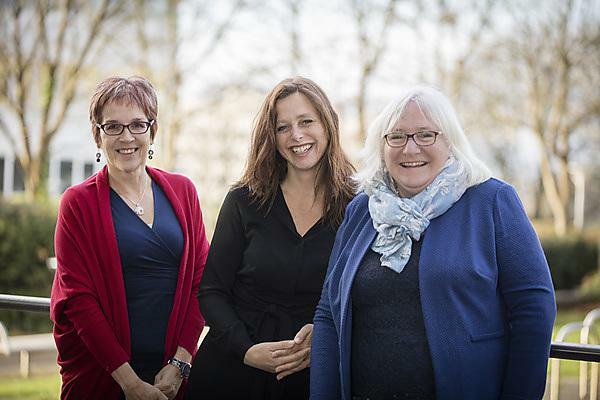 Professor Hilary Neve and Dr Jennie Winter have both won National Teaching Fellowship Scheme awards, while Dr Cathy Coelho leads a team which has been shortlisted for a Collaborative Award for Teaching Excellence. The awards will be presented at the National Teaching Fellowship dinner in January 2017. Hilary Neve is a Professor of Medical Education at Plymouth University Peninsula Schools of Medicine and Dentistry. Her shortlisting recognises her championing and development of the small group learning activities which are central to the Plymouth University Peninsula School of Medicine undergraduate curriculum, particularly as a setting for students to reflect upon and make sense of their clinical experiences. She has led major re-designs of the professionalism and Problem Based Learning (PBL) programmes and undertaken pioneering audio-diary research exploring threshold concepts within medical education. Her initiatives have dramatically improved student feedback and students’ understanding of professionalism. Key to this success has been Hilary’s support and training of her small group facilitator team. Dr Jennie Winter is an Associate Professor in Academic Development at Plymouth University. She has worked to raise awareness and change practice in a range of inclusivity issues in higher education including unconscious bias, internationalisation, widening participation, mature students and the progression between college-based and higher education. She is a keen advocate of Education for Sustainable Development. Her highly innovative academic development work in this area is leading in the sector and is currently used as an exemplar of good practice by the European Commission. Jennie has delivered faculty development in this area across the UK and in the USA, Canada and China. She plans to develop future work in to two areas: how best to enhance current practice in evaluating teaching-related continual professional development, and; the international development of Education for Sustainable Development in universities. Dr Cathy Coelho is Senior Lecturer and year 4 Lead at Plymouth University Peninsula School of Dentistry. Cathy has led a team of fellow educators and academics, and dental hygiene and therapy students, on a project which is an exemplar of the unique relationship between the School and the local community, and how that relationship results in innovations in dental teaching. The partnership is symbiotic: the School helps to address oral health inequalities in areas of need, while community partners provide often unique learning environments which take students out of traditional learning environments and into situations where they may not have been before. The team which has been shortlisted relates to a project which saw the development of a unique communication aid for stroke survivors with aphasia, for use in dental settings. The team comprised of five dental therapy and hygiene students, four academic staff, a Stroke Association speech and language therapist and eight stroke survivors with aphasia, who met at the support group Chatterbox. Students were equal partners and active team collaborators throughout.